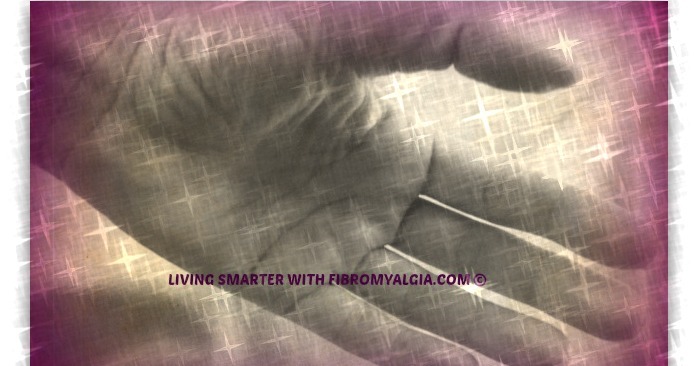 Fibro related hand pain can occur when using or not using the hands. Pain can occur when simply reaching for and picking up an object. Even a light object. Because the muscles in our hands are different from that of our legs or arms, the pain may likely feel like it is more in the bones of the fingers rather than the muscles and tendons of the joints. This light touch sensation can also stem from allodynia. Change in blood flow to the hands or nerve pain can also be exacerbating factors. You may have heard that blood vessels can be affected in fibromyalgia. This can also occur more in the extremities in some cases. Read more here regarding the Blood Vessel connection. And what about a handshake? Have you ever noticed that some people like to exert their power by shaking hands too hard? 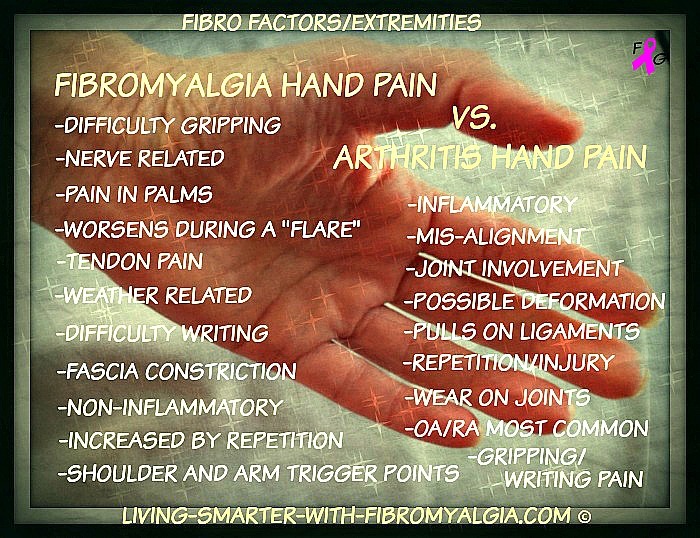 And with fibro, it can feel like they are crushing your hands and fingers. I had this happen recently, and the "feeling" of that handshake seemed to linger for too long.